Ball Markers: Do the Rules Specify What Should (or Shouldn't) Be Used? Do the rules of golf specify what types of objects are and are not appropriate to use as ball markers on the putting green? Do the rules prohibit the use of any particular objects as ball markers on the green? 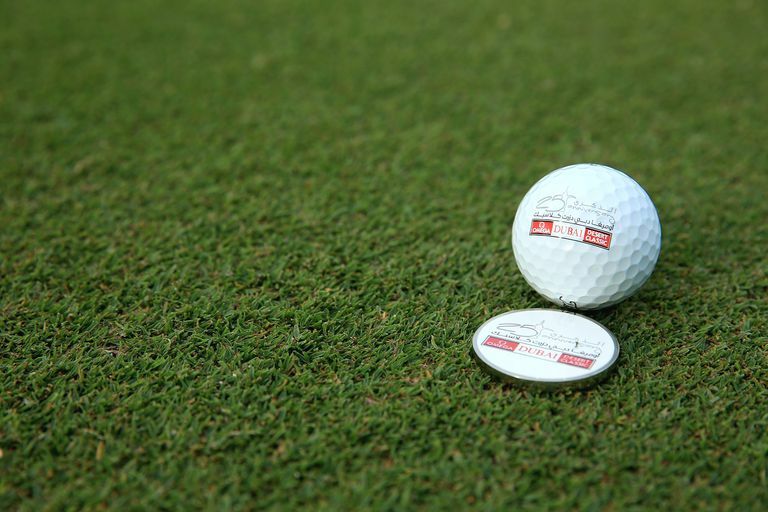 The Rules of Golf recommend using a coin or an object specifically made to be used as a ball marker to mark the spot of your golf ball on the green before lifting the ball. It is considered poor golf etiquette to use an unusual object as a ball marker that could be distracting to other golfers playing with you. Let's start by explaining the purpose of a ball marker. When a golfer's ball rests on the surface of the putting green, the golfer has the option to lift the ball (to, for example, clean it, or to reorient its graphics so they point to the hole). But when lifting your golf ball off the green, the Rules of Golf require golfers to mark the spot first. To do that, golfers place an object at the location of the golf ball (typically directly behind it), then lift the ball. When ready to replace the golf ball, the ball is placed again at the spot marked by the object, then the object is lifted. That object, of course, is called the "ball mark" or "ball marker," because it is marking the spot of the golf ball. Tees are most often used when a golfer is lifting a ball somewhere on the golf course other than the putting green (for example, when conducting a drop for relief). On the putting green, the vast majority of golfers use "a coin (or) an object made to be a ball marker," as the rulebook definition puts it. The procedures for marking, lifting the ball, replacing the ball, and lifting the ball marker are covered in Rule 14. In some competitions, unorthodox or particularly large ball markers might be banned. 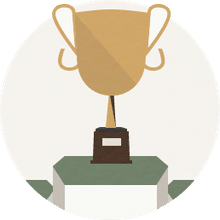 In PGA of America chapter and sectional tournaments, for example, it is not unusual for a condition of competition to be in effect stating that golfers must use "a ball-marker, a small coin or other similar object" to mark balls on the green. Tyler Dennis, when he was the PGA Tour's Vice President for Competitions and Administration, told us that "(a) number of years ago the Tour did have a rule that required players to use a coin or other small object. We no longer have that rule in effect and thus a player could use a number of different objects to mark the ball." But Dennis also noted this: "In practice, from an etiquette perspective, everyone uses a coin or small marker." If Your Foe's Ball Marker is Distracting, Can You Make Him Change It? Do you have any recourse when an opponent or fellow-competitor is using an unusual ball marker on the green, one that you find distracting? Yes, two: Politely ask him to switch to something else, something smaller. Or: Require him to move the distracting ball-marker over, one putter-head-length at a time, until it is no longer causing you "mental interference." Playing Golf in the Winter? Better Know Your Preferred Lies! Fairway Is One of Golf's Most Common Terms, But Can You Define It?